Nobody wants to think about replacing a water heater, but this is one appliance that falls into the “better safe than sorry” category. Poor efficiency eats up energy and costs you dearly on utility bills. But even more worrisome is the possibility of a leak that turns into a flood. Nothing good can come from a water heater gone bad. Unless, of course, you count the installation of a shiny, efficient new appliance. If the hot water in your home has your attention for all the wrong reasons, here are a few indicators that it’s time to shop for a new model. Once a water heater reaches the 10-year-mark, it’s starting to feel its age. All sorts of problems might creep up one after the other. A 10-year-old water heater isn’t necessarily doomed to fail at any moment. But its days of clean and efficient operation are beginning to fade. Age alone isn’t the worst issue, however. A lack of regular maintenance plus age is cause for more concern. If you’ve regularly flushed out the tank and maintained the unit properly, it might have a few good years left. If not, it could be on its way out. Do you find that your water cools off at the tap much quicker than it used to? And do you adjust the thermostat to make up the difference? Water that isn’t hot enough might result from a tank leak. And each time you adjust the thermostat, you could put more strain on the appliance. Colder weather might mimic a water heater problem. Water coming in from the city supply line requires more time and resources to heat. But if the weather is warm or mild and you still run out of hot water, a call to your technician is probably in order. The last thing that you might expect when you turn on a faucet is a handful of gunk. Grainy material or rust indicate that the water heater has sediment inside, and perhaps a lot of it. Sediment can be naturally occurring. Minerals in the water build up over time and can spill out through the tap. This type of sediment can usually be flushed out, at least if the problem hasn’t advanced too far. But it might also indicate rust inside the tank or through older supply lines, which could mean that you need a new water heater. Even if the appliance is functioning like it should, poor energy efficiency might inspire you to replace it. A top-of-the-line water heater built several years ago won’t compare to modern standards. Check the label to be sure, as standards changed in 2015. The U.S. Department of Energy‘s National Appliance Energy Conservation Act requires higher efficiencies now than ever before. Look for the EF Rating on your appliance and compare it with a few newer models of comparable size. As an example, the standard in 2010 for a 40-gallon electric water heater was EF .59, but in 2015 the standard raised to EF .62. This rating indicates how much energy is used to heat the water, and a small change can mean significant savings. The average homeowner probably doesn’t worry from day to day about when the water heater will finally go kaput. It’s when problems start creeping up that it really gets attention. Repairs are a primary reason to look into replacement. Many water heater problems are simple to resolve with a call to your service technician. But if you find that you’re making the call more and more often, the end is probably near. Repair bills add up, and you’ll probably lose efficiency in the process, too. A new model will cause much fewer problems and save energy. It stands in a basement, utility closet or even a garage and barely gets an attention at all. But you rely on your water heater every day. Most of the time, it’s a mutually beneficial relationship. You feed the appliance water and energy, and it provides delightful hot water for showers, baths, dishes and laundry. Unfortunately, no appliance lasts forever. But Rodenhiser has been the trusted name in plumbing for Massachusetts homeowners in Route 495 / 128 area for over 85 years. If your water heater is on the fritz, we can help make it right. Check out our booking page and schedule an appointment today. What Does Tankless Water Heating Offer That Storage Tank Water Heaters Don’t? 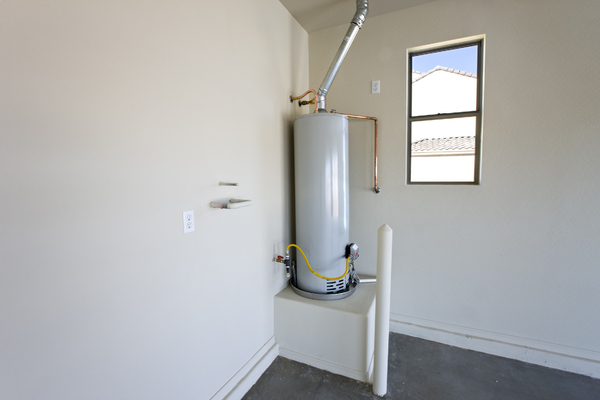 Is your home’s storage tank water heater pretty old? Have you had to repair it more than once in recent years? If so, it may be time to consider a new water heater. But before you go out and buy another storage tank water heater, learn the basics about tankless water heating. Enjoy hot water any time you want it. – Have you ever tried to take a bath right after someone else has showered or done a load of laundry? Often, you find there’s no hot water left. With a tankless water heater, that’s no longer a problem. You can have that hot water whenever you want it, without waiting. The hot water doesn’t run out. – This is the other side of the coin. You want to enjoy a long hot shower, but half way through, the hot water runs out. You have to rush to rinse yourself off with freezing water. That problem is solved with a tankless water heater. The hot water keeps on flowing, no matter how long you shower. Energy efficiency is a guarantee. – A lot of energy is used every day, keeping the water hot in a storage tank heater. If you only need water in the mornings and evenings, that’s a lot of energy wasted keeping water hot when no one needs it. A tankless water heater can save up to 50 percent on water heating costs annually. A tankless system will usually last longer than a tank water heater. – The main failing of a conventional water heater is the tank. It will start to rust due to sediment build-up; many often fail in less than 10 years. 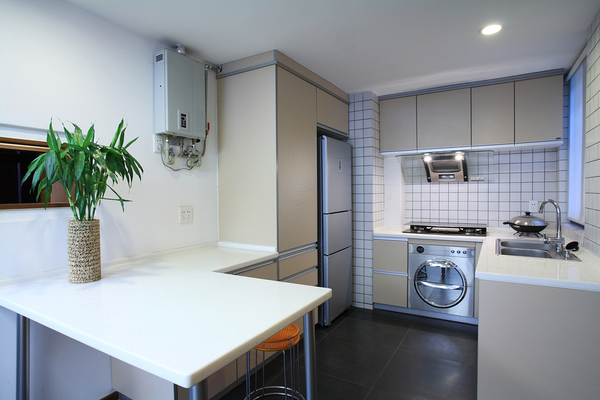 A tankless unit can last 15 to 20 years with proper maintenance. To learn more about tankless water heating or for other home comfort concerns, contact the pros at Rodenhiser Plumbing, Heating & Air. We’ve proudly served homeowners throughout the Route 495/128 area of Massachusetts since 1928. Troubleshooting low water pressure is a DIY-friendly process that may help you resolve the problem yourself or simply describe it more accurately when you consult a professional plumber. Low water pressure usually doesn’t become an issue until household pressure drops below about 40 psi. At that point, symptoms such as long fill times for washing machines and toilet tanks, and weak shower function become very noticeable. Heating water is expensive. It is always going to use a lot of energy to heat the water in your home. However, there are some systems that can make this process much more efficient. Water heaters are a necessity of modern living, but if you reside in tight quarters, you know that installing a traditional hot water heating tank is simply not the way to make the best possible use of your limited space. You need to consider options that are specially designed for high performance in tight spaces. Every time you take a hot shower, turn on the dishwasher or wash your hands with warm water, you can thank your water heater. This simple appliance plays an important part in your everyday life, and it’s important not to leave water heater maintenance off your to-do list. By performing a few simple tasks, you can keep your water heater running properly, as well as keeping its efficiency high and energy consumption low.